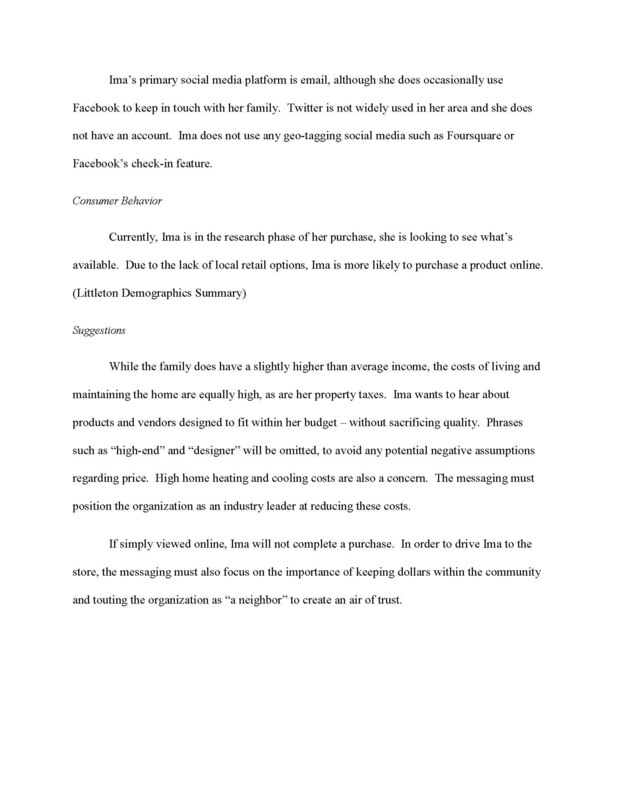 This is a sample consumer profile created as part of a larger social media marketing strategy. 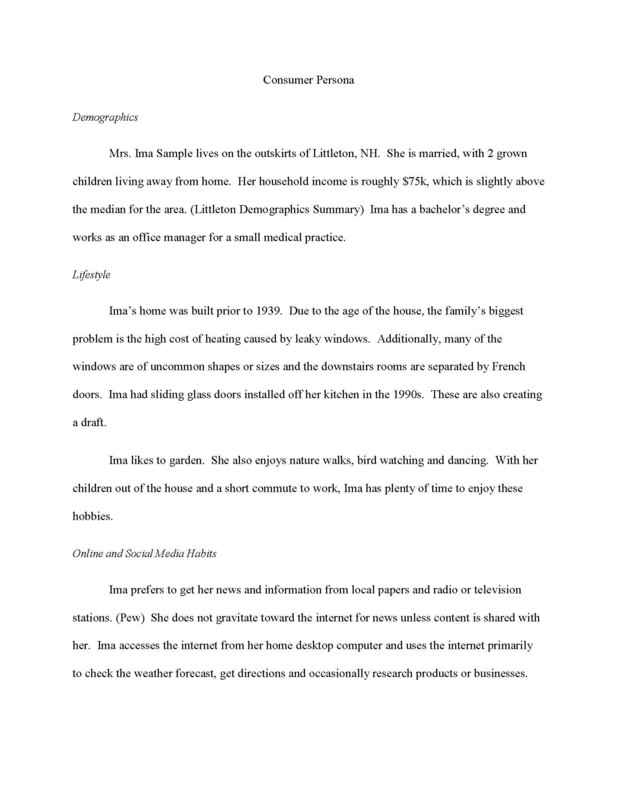 The worksheet is intended to highlight which segments to target and to help position the company's message. Extensive market research was conducted to examine consumer behavior within the industry historical company data. The company's rural location has a direct impact on consumer media consumption and was accounted for in this profile.